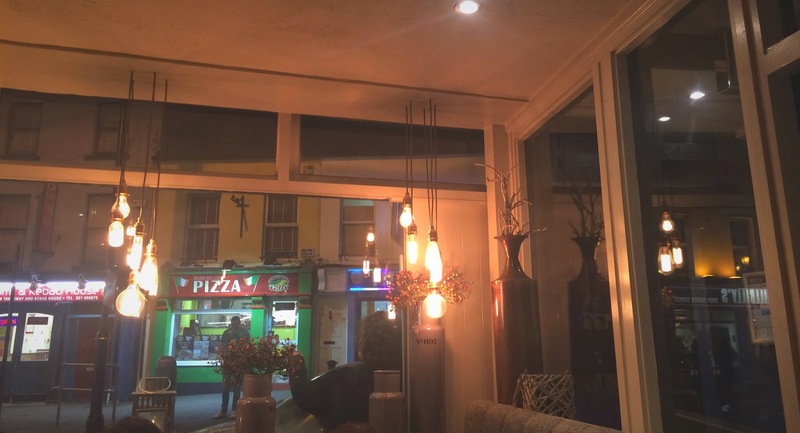 Today's post is a restaraunt review, something I've never done on Penneys To Prada even though I love eating out! On Saturday I tried out a new restaurant in the city nearest to where I live. I usually stick to two or three of my favourite restaurants by this weekend my boyfriend and I decided to give this new place a go. 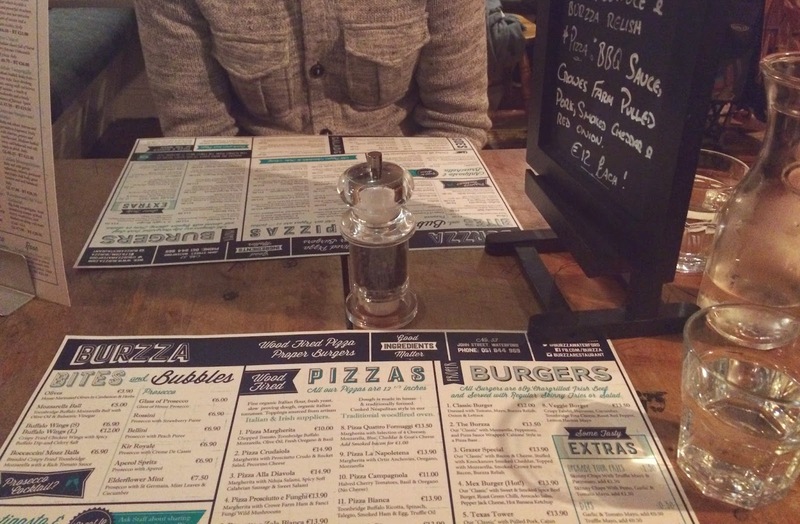 I always check restaurants online before trying them and as soon as I saw Burzza's menu I was hooked. As a graphic design student I really appreciate eye catching graphics! Now you might be wondering, what does the word Burzza actually mean, or where does it come from? I was the exact same until one day one of my friends pointed out that it's because Burzza does BURgers and piZZAs. I was a bit slow on the uptake with that one! As soon as we arrived I absolutely loved the atmosphere and look of Burzza. With quirky quotes on the walls and gorgeous bulb lighting hanging from the ceiling, it was right up my street. Even the table we were seated at was an up-cycled school desk with scribbles of past students adorning it! I decided to go for the 'Texas Tower' burger which contained pulled pork, cajun onion rings, homemade BBQ sauce, crunchy slaw and a delicious 6oz chargrilled burger. It was so big that I had to cut it up in order to eat it! 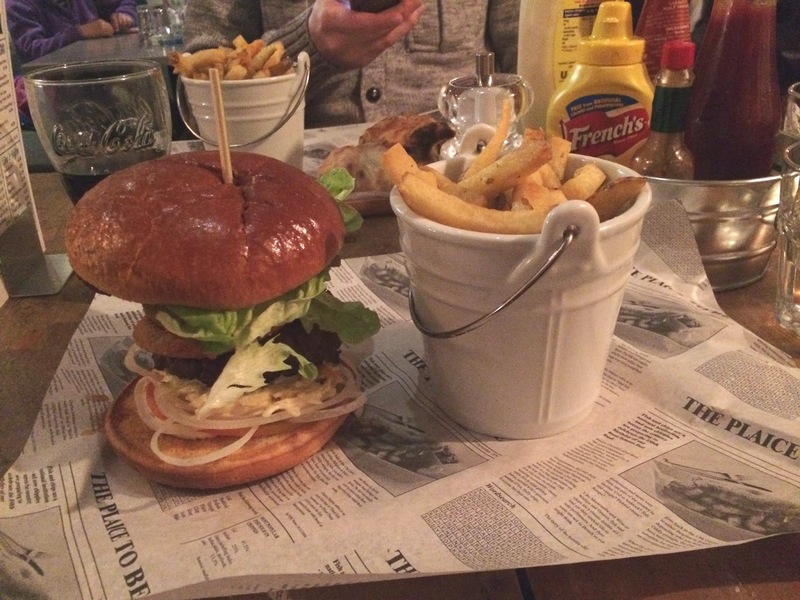 The burger also came with some yummy homemade fries and at €13.90 I thought it was very reasonably priced! My boyfriend went for the 'Burzza' which was essentially a burger wrapped in a pizza base, 'Calzone' style. I tried a bite and it was just as good as mine! 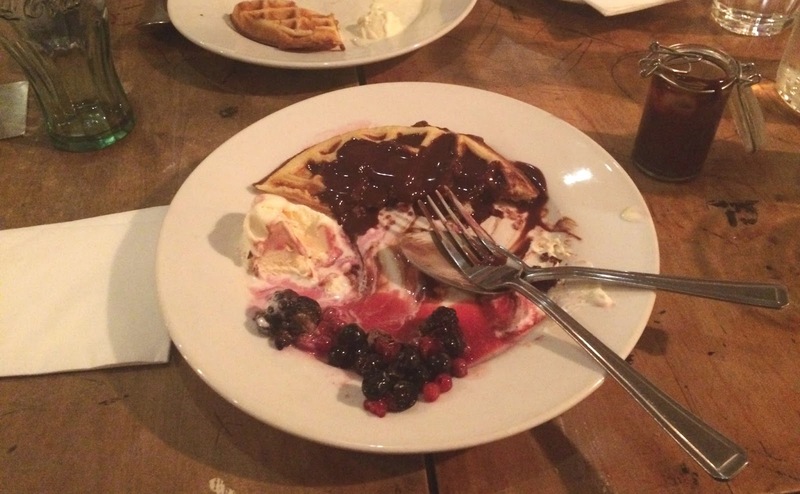 And finally, for dessert we decided to go for their waffle which came with chocolate sauce, ice cream and seasonal fruit. After the very filling main course we split a waffle between us. As you can see, I got a bit over excited and started to dive in before taking a picture of the most mouth watering desert I've had in a long time! I'd highly recommend Burzza to any of my readers who live near Waterford, you will not be disappointed! I hope you enjoyed today's post, thanks for reading!